Nathaniel's third full-length album, featuring 12 original songs and a more realized indie rock sound. Recorded at TLR studios and Goshen College studios, April 2012 - May 2013. Listen to samples on my soundcloud page. Nathaniel's second full length album. Comprised of 13 original songs in a dynamic, powerful, and emotionally raw alternative-folk indie music. All songs and lyrics written and recorded by Nathaniel Tann at TLR studios, April 2007, January 2010-December 2011. Self Released. Nathaniel's first officially released full length album (previous albums had not seen an official release through any music store outlets). Featuring an eclectic mix of alternative folk, indie, and hard rock. A revised version of the album with remixed tracks and a revised track-listing was released in October 2011. All songs written, recorded and performed by Nathaniel Tann. Recorded at TLR studios, August 2009 - January 2010. Stream for free through Spotify. Purchase for free through Bandcamp, and purchase on iTunes. 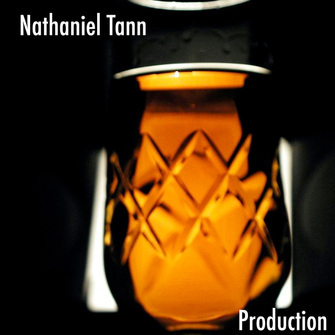 All songs, instruments, lyrics and vocals written, recorded, and performed by Nathaniel Tann. All songs recorded at Goshen College studios March-May, and/or TLR studios May 2012. Album is self-released.